Any time, any day; Jacobazzi Heating & Cooling is available to provide service at your home. Our HVAC technicians are highly skilled experts. 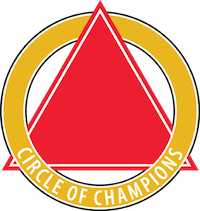 We've earned numerous certifications and accreditations. We have several offers running. Don't miss a chance to save! We can keep you comfortable during the peak of winter with a high-efficiency furnace. The Jacobazzi Heating & Cooling NATE-certified technicians can handle any type of heating needs or concerns you might face. We properly size and design new system installation, protect equipment through meticulous cleaning and inspection, and resolve emergency issues with 24-hour service. Through personalized attention and skilled workmanship, we offer the most reasonable prices without sacrificing quality. If you need any type of service for your air conditioning system, whether it's the installation of a new system or repairs for the existing unit, the Jacobazzi Heating & Cooling team of dedicated technicians is ready to provide prompt, professional attention. We offer comprehensive air conditioning service throughout Downers Grove, Darien, Woodridge, Western Springs, Hinsdale & Clarendon Hills, IL, providing 24-hour emergency coverage, cost-effective preventative maintenance, free estimates, and financing with approved credit. "In the aftermath of a flooded crawl space Jacobazzi came in and slogged through the mud to assess and begin the replacement process. They had several workers here in order to complete the replacement in two days. All members of the team were helpful and courteous. I can’t recommend them highly enough." "Great people. Outstanding work. Will highly recommend your company to our friends and colleagues." "Thank you for the bag with the delicious cookies that you sent to me in appreciation of my choice to use your company! It wasn't necessary, but was appreciated and explains why your ratings on websites are so high. Customer relationships are important and savvy business owners understand its' value. I was very pleased with all of your employees who completed their work in a competent and efficient manner while installing my new air conditioner. They were professional and provided excellent information about the products and service being provided to me. In addition, I was very impressed that an owner would take the time you did to meet with me personally to discuss your service and product. The air conditioner selected is working well - I definitely want the cover for the winter season." "It was a pleasure meeting and speaking with the Jacobazzi family, and I appreciate the professional and neat fabrication and installation that you did at my home. See you next summer for the AC. Thanks"
"I have been using Jacobazzi for 11 years for both my furnace and air conditioner. They have always been reachable, dependable, affordable, and there when they said they were going to be. They take time out and talk to us about concerns. I never feel rushed. I love this company"
"The entire replacement process of replacing our defective furnace was seamless. We we in need of a new furnace, the people we called did not keep their appointment. While walking through Sams Club we were approached by a salesman and who connected us with Jacobazzi. The light went on of yeah I heard of them. Tony was right on time, made suggestions and alternatives. The team that installed and set up out furnace, A/C, and hot water tank, were OUTSTANDING. Very knowledgeable, professional, polite, etc. The list goes on, can't think of any negatives, because there weren't any. I would and will HIGHLY recommend Jacobazzi to co-workers and friends over anybody else. GREAT JOB, end-to-end. THANK YOU." Through superior products, dedicated service and reasonable pricing, Jacobazzi Heating & Cooling strives to provide the most rewarding solutions to home and commercial heating, cooling, and indoor air quality. We take that extra step to ensure personalized attention and total customer satisfaction, keeping the jobsite clean, recycling discarded equipment and protecting your property from damage. Our NATE-certified technicians are qualified and equipped to handle all large or small jobs with minimum disruption to your schedule. We arrive on time, dressed professionally in uniform and complete work efficiency. As a Comfort24-7 Provider, our work and installed components are protected with money-back guarantees, ensuring your satisfaction today, tomorrow and for years to come. 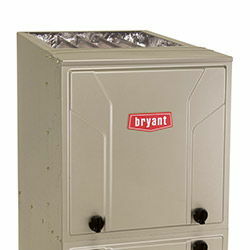 Jacobazzi Heating & Cooling is a Bryant Factory Authorized Dealer. This recognition is earned through consistent and continual dedication to customer service, product knowledge and technical skills. 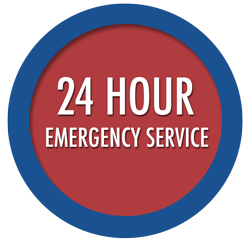 For the convenience of our customers, we provide 24-hour emergency service, flexible appointments, free estimates, and financing with approved credit. Jacobazzi Heating & Cooling is fully licensed, insured and EPA certified. Contact us at 630-701-7579 with total confidence.